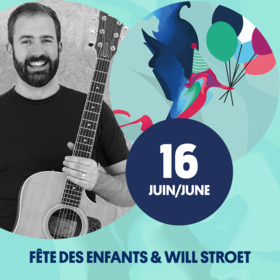 On June 16th, it's the children's fest! From noon to 4 p.m. various free activities will take place (face painting, art and crafts, clown...) and there will be foodtrucks. 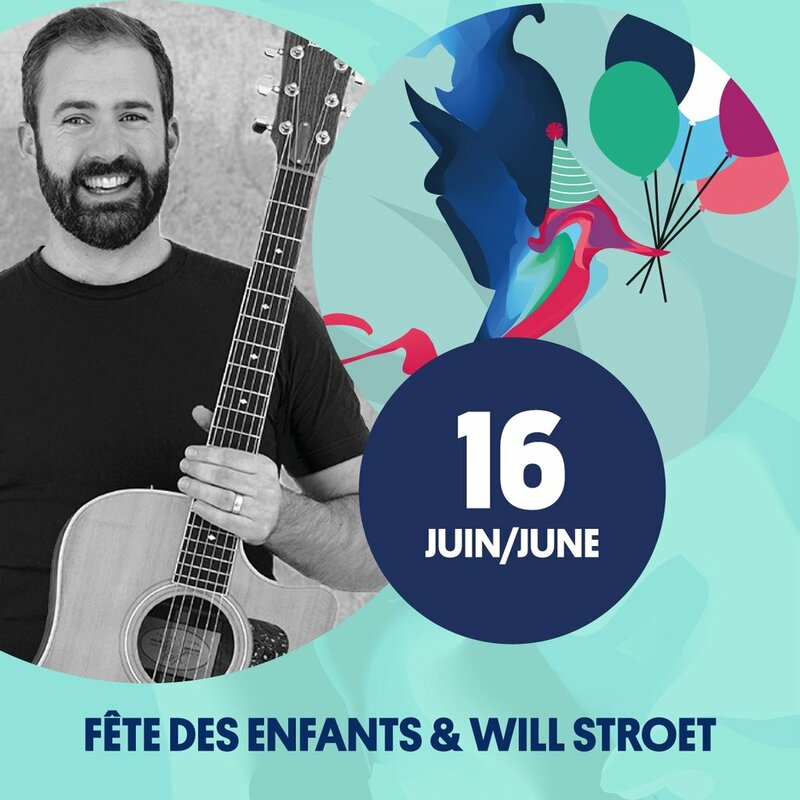 Star of the TV series Will’s Jams on CBC Kids, he inspires kids to be active, healthy, creative and engaged in the world through educational music in English and French.